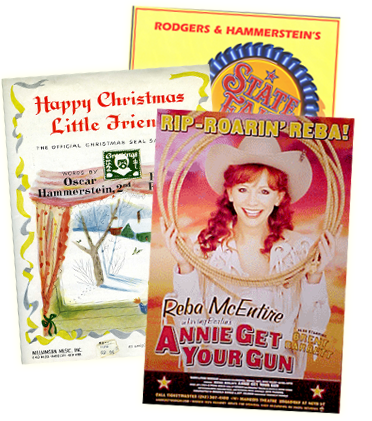 A brilliant new recording of a dazzling Rodgers & Hart score heads the list of Fall releases with the mid-September issue of THE BOYS FROM SYRACUSE (DRG); see story, page 4... Other recent cast albums include the first complete recording of SOUTH PACIFIC (JAY), starring Justino Diaz, Paige O'Hara, Pat Suzuki and Sean McDermott...ONCE UPON A MATTRESS (RCA Victor), with Sarah Jessica Parker and the cast of the 1997 Tony-nominated Best Musical Revival...HEY, LOVE (Varse Sarabande), celebrating the songs of Mary Rodgers...The original New York cast recording of Adam Guettel's riveting score for FLOYD COLLINS (Nonesuch)...and the original Off-Broadway cast recording of I LOVE YOU, YOU'RE PERFECT, NOW CHANGE (Varse Sarabande), the Joe DiPietro/Jimmy Roberts musical about relationships with a '90s spin...REX, the 1976 Richard Rodgers-Sheldon Harnick musical about Henry VIII, featuring ""Away From You,"" ""As Once I Loved You,"" and ""No Song More Pleasing"" in its Tudor-tinged score, is getting its first CD issue from RCA Victor, due out in November. The latest albums by vocal artists devoted to our songs include KIRI SINGS BERLIN (EMI-October), with the world-famous opera star Kiri Te Kanawa giving her own to such Berlin standards as ""Blue Skies,"" ""Say It Isn't So"" and ""Cheek to Cheek""...Barbara Cook's latest, OSCAR WINNERS (DRG) is a tribute to the words of Oscar Hammerstein II, and the newest from Susannah McCorkle, LET'S FACE THE MUSIC (Concord Jazz), is devoted to Irving Berlin. 20 years after his death, Elvis Presley is commemorated in several extensive compilations from RCA/BMG, including PLATINUM, a 4-CD boxed set with over 100 songs, and BLUE SUEDE SHOES, featuring Presley's recordings as heard in the ballet of the same name by the Cleveland/San Jose Ballet company (see Happy Talk, Vol. 3, No. 3). 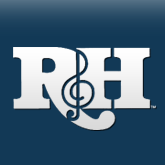 R&H Music's Lindy Robbins is represented this autumn with two songs apiece on new albums from David Campbell (Polygram), Lainie Kazan (Jazz Masters) and Billy Stritch (Touchwood)... ""Manhattan in December,"" by Robbins and Ann Hampton Callaway is featured on Callaway's new album, WHITE CHRISTMAS (Angel-October) along with Callaway's version of the Berlin standard as her title track...Also in time for the holidays is Melissa Manchester's new album with her rendition of ""White Christmas"" and ""I've Got My Love to Keep Me Warm"" (Blue Eye Records). On her smash new album DRAG, k.d. lang delivers a milestone rendition of ""Theme from VALLEY OF THE DOLLS,"" with lyrics by Dory Previn Shannon, and music by Andr Previn; after burning up the charts all summer, k.d. 's DOLLS theme got a big dance remix from Junior Vasquez in August...Rosemary Clooney's MOTHERS & DAUGHTERS (Concord Jazz) features ""Always,"" ""Sisters,"" and ""Hello, Young Lovers""...""Good Luck Charm,"" from the Presley catalogue, is heard on Art Garfunkel's newest album, SONGS FROM A PARENT TO A CHILD (Sony Wonder) - sung, appropriately, by his son James...Country sensation LeAnne Rimes has ""God Bless America"" on her newest album, LeANNE RIMES INSPIRATIONAL (Curb Records)...From scores in The R&H Concert Library, Keith Lockhart and The Boston Pops have recorded Howard Hanson's ""Maypole Dances"" from MERRY MOUNT, and Jerome Kern's evocative MARK TWAIN: A PORTRAIT FOR ORCHESTRA, for their newest album, AMERICAN VISIONS (RCA Victor).